Violence and insecurity are among the most important issues facing communities in the 21st century. Both family violence and community violence are rapidly rising in the urbanizing nations of the South, and richer nations are also facing increased concern about the health, social, economic and environmental costs of violence and crime. 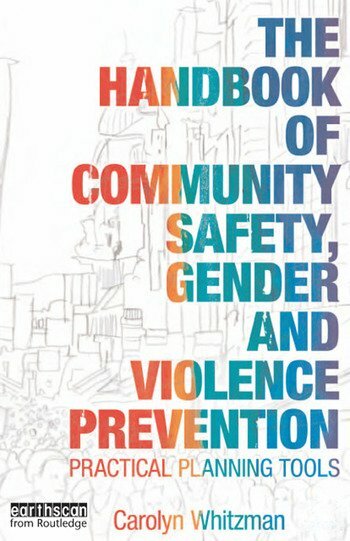 The Handbook of Community Safety, Gender and Violence Prevention is the first book to gather together research and examples, from a gendered perspective, of local, regional and international interventions that work to prevent crime, violence and insecurity. Case studies of successful initiatives from every continent, in settings that vary from large cities to rural areas, are analysed to provide cross-cultural lessons of what works and what doesn't. The book presents essential practical advice to professionals such as: how to obtain diagnostic information on incidence and impacts of violence; how to develop, maintain and evaluate policies and programmes that can effectively promote community safety; and how to create trust and effectiveness in partnerships. Dr Carolyn Whitzman is a Senior Lecturer in Urban Planning at the University of Melbourne. She brings over 20 years of experience in academic, governmental, non-profit, and private sectors, effectively combining research, writing, teaching, and community development on community safety and violence prevention. Her ten years? work at the City of Toronto on integrated planning for violence prevention has been cited as international best practice by the Organisation for Economic Co-operation and Development and the International Centre for the Prevention of Crime.